Ah ok , I thought the process for enabling AUX on the 3G was the same as the 3G+. The RMC from what I remember is more complicated than MMI 3G - the hidden green menu is much more limited in what you can do I.e. not much! To enable AMI, I think the unit has to be parameterized with VCP or ODIS rather than it just being a coding thing but I could be wrong. Kufatec do a coding dongle for AMI but it's €100 Might be worth giving VAG Car Coding a shout instead. I have the AMI enabled and ordered AMI aux cable which will solve the problem. However, this is not what it supposed to be. For now, I have IPhone connected to MMI Bluetooth and CarPlay Bluetooth at the same time. That way I have CarPlay video piece working and audio piece over MMI Bluetooth . 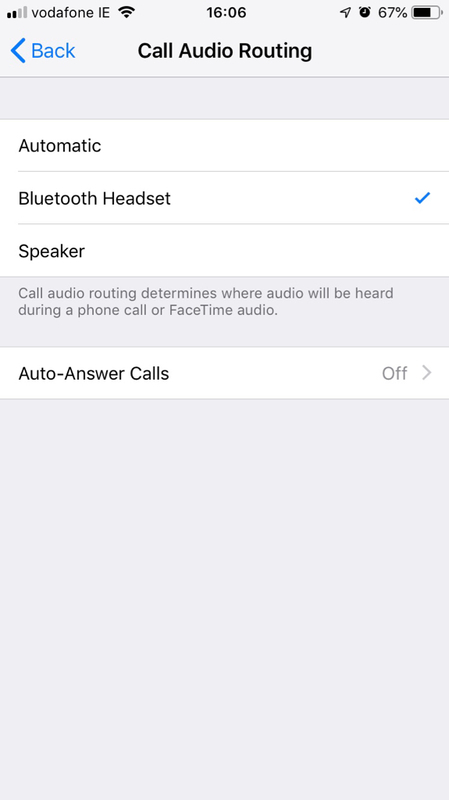 The only thing is that I need to manually set iPhone to use MMI for music and phone call audio device. It relatively works well, I would give it 8/10. There are couple glitches though which I am working through with the seller. 1. 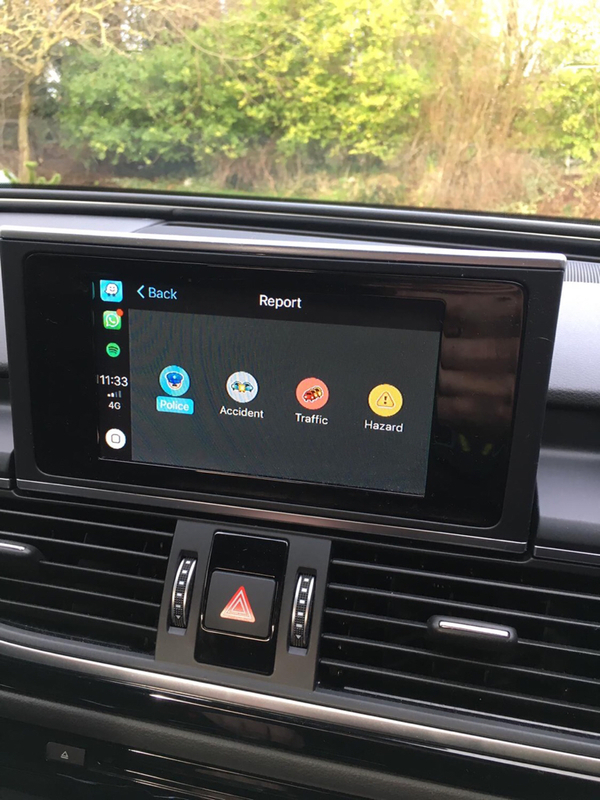 Wireless CarPlay uses Bluetooth and WiFi together. WiFi dropped for me twice which resulted in losing CarPlay interface on the screen. Had to manually tap CarPlay WiFi network to reconnect. 2. Phone did not connect couple times automatically. Need to do few more tests on that. 3. Screen at the edge is bit blurry, I guess it could be an issue with the low resolution of 6.5 inch screen. 4. I will need to run an aux cable underneath the centre console to the armrest for AMI audio. It wasn’t not supposed to be necessary. I treat all above as a product is not as described and will work with the seller on sort of resolution. I’ll post the outcome shortly. After talking to the seller, we decided to use wired connection instead of wireless. CarPlay seems to be much more stable and I can still use MMI Bluetooth for the audio. It also charges the phone. Let’s see how that goes now. This is the video I followed. I didn’t have any panel tools so I used my kids plastic spoon and knife to pop out the aircon panel. 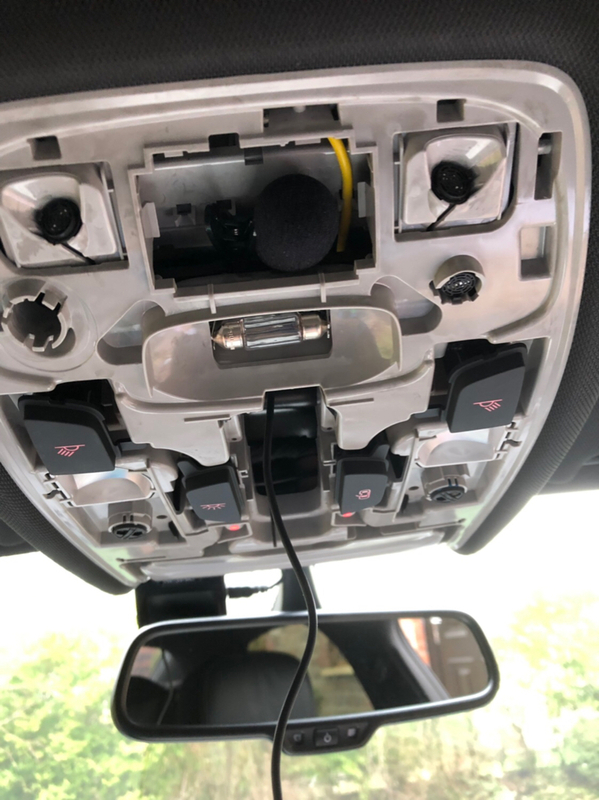 Please note that after removing the MMI unit , it will trigger the airbag fault which needs to be cleared with VCDS when you put it back together. It happens when you disconnect the passenger off airbag notification. 3. 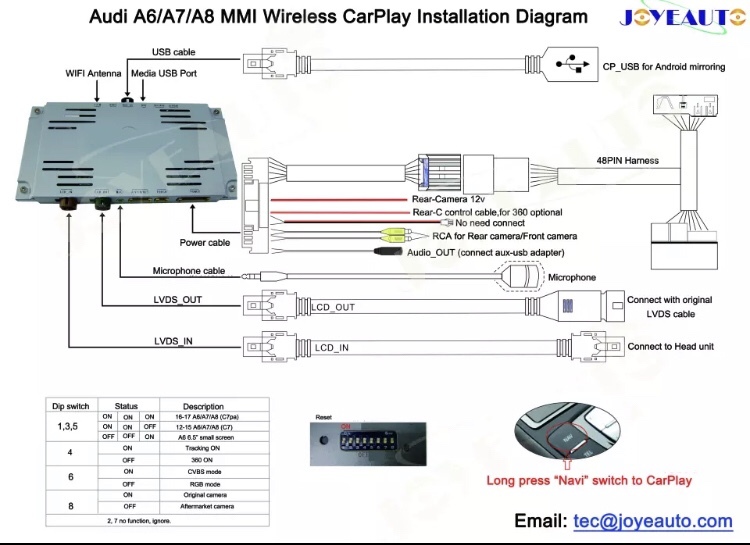 MMI control- You need to connect the blue cable from the CarPlay to the yellow white cable from the 48 harness. For RMC it is connected in the different block on the 48 harness but it’s an only one yellow white cable so you cannot make a mistake. 4. Unit comes with the dedicated microphone. I don’t use it but I installed it in the panel above the head. I used my cat’s toy to push it behind the ceiling and behind the airbag on the pillar. 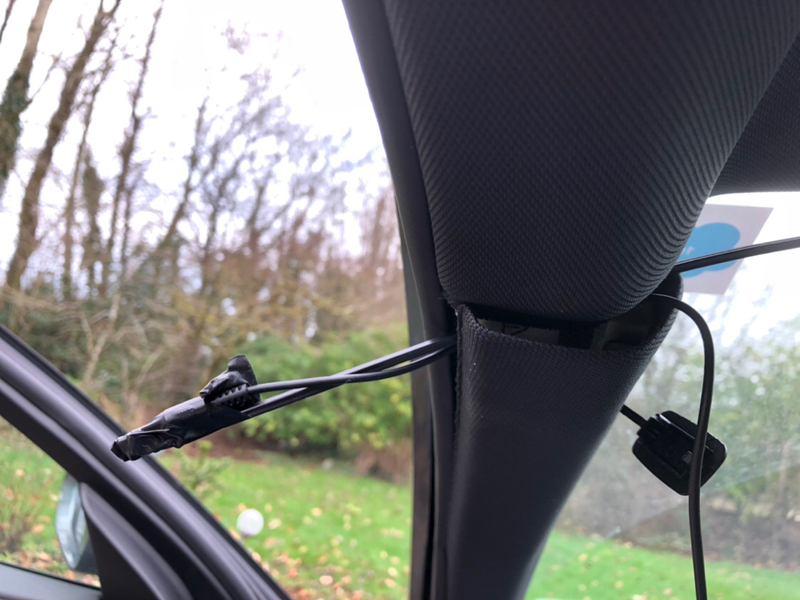 I ran the cable underneath the seal on the pillar and behind the glove box which also needs to be removed in order to place the CarPlay unit. 5. 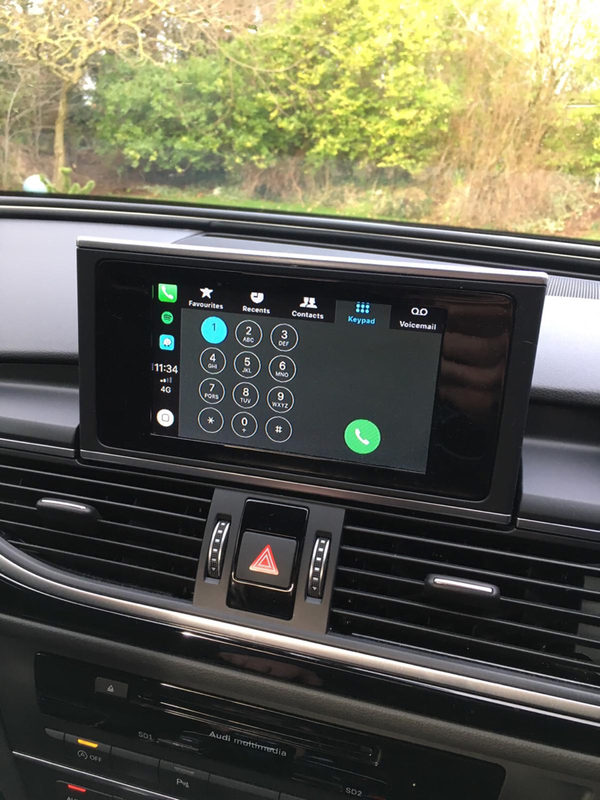 CarPlay unit I placed behind the glove box. There is some space to place it. Cables can be pushed from the MMI through the small gap. It’s pretty easy. 6. 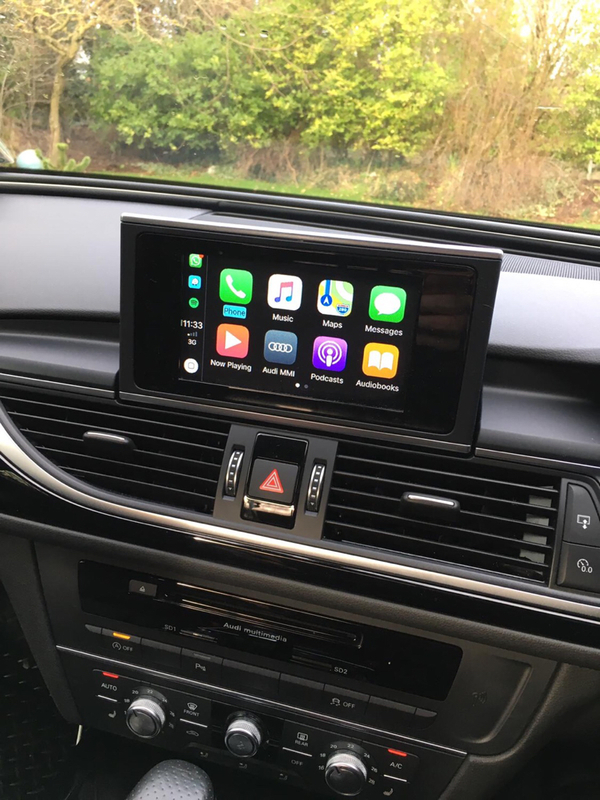 CarPlay USB is currently located in the glove box. 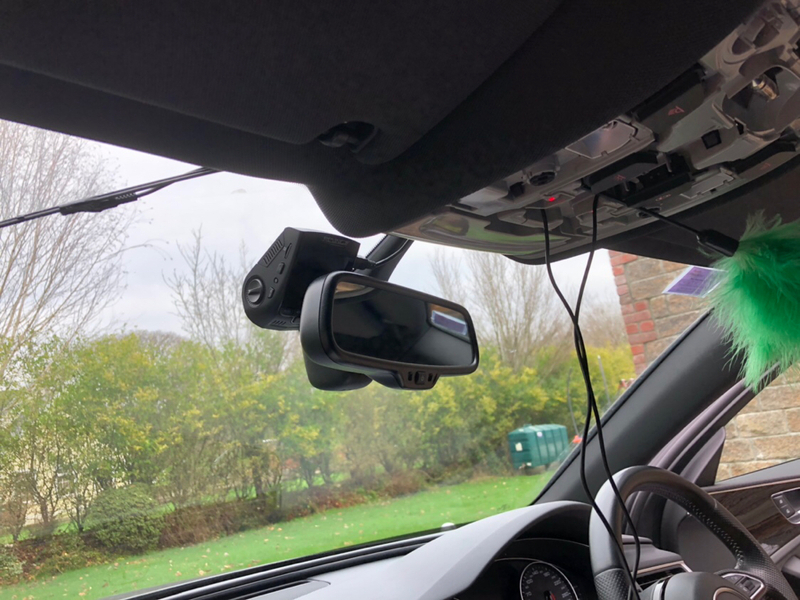 There was a blanked whole which I used to run the cable from the CarPlay which is just behind the glove box. I wasn’t happy with the performance of the wireless CarPlay so seller asked me to try the cable CarPlay. It works very well and charges the iPhone. I’m good with that. I’m a network engineer and I prefer cables anyway. I keep my phone connected to the original MMI Bluetooth. That way I keep all the regular MMI behaviour of the phone calling + CarPlay enhancements and I don’t need AMI or AUX cables . On the phone I configured it to force the Bluetooth speaker for the phone calls. MMI media is set to my phone as a music streaming device. That way Apps send audio back to the MMI. I use Spotify and tunein. Sometimes you need to manually change the app to use Bluetooth as an audio output. Happened twice so far. Not a big deal. I ordered AMI aux cable anyway just to see how would that work but don’t think I will use it. Those are my findings so far. Lack of touch screen is not an issue at all. All MMI controls work very well. Thanks for taking the time to post the wright up. 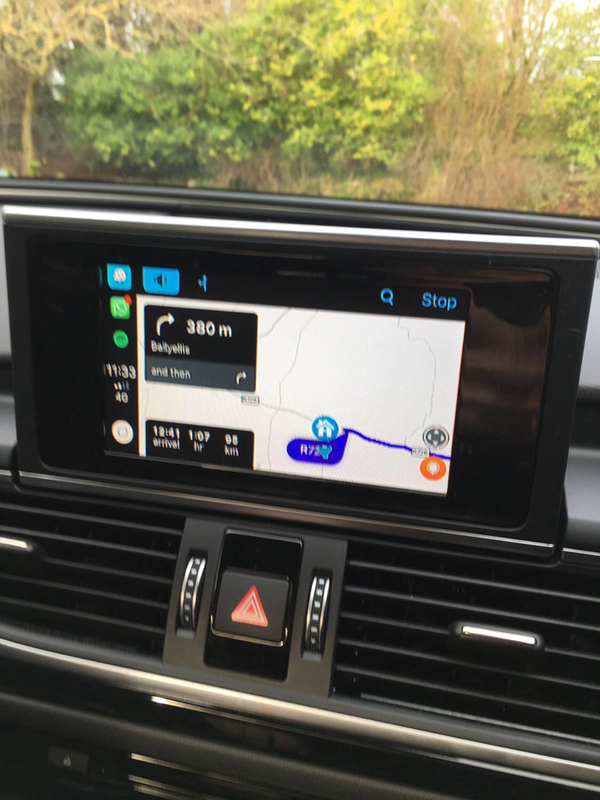 now that carplay has the option of Google Maps - you’ll be able to show “satellite “ images rather than just the road layouts. It will be interesting to hear how well the Google Satellite map performs.